Epizode is 10 days and nights of wild raving fun. It's a beast of a party, to be sure, but entirely worthy of using your vacation days for, since you can pack in a fully loaded beach vacation at the same time. The sundrenched island of Phú Quốc sits just off the coast of Cambodia and boasts hundreds of kilometers of silky-soft sand and warm, emerald waters. The island is still relatively untouched by mass tourism, which could be spoiled soon since Phú Quốc started offering visa-free entry to most countries, but works still works in favor of anyone heading to Epizode. So while you'll certainly party hard, you can relax even harder with nearly endless ways to recover from a long night dancing and drinking. First thing’s first, come hungry. Every trip to Vietnam starts with food, and the experience is heightened with Phú Quốc. After all, it's an island, and fresh seafood abundant. But one of our favorite stops is for bun cha, a northern specialty, at Bun Cha Ha Noi. 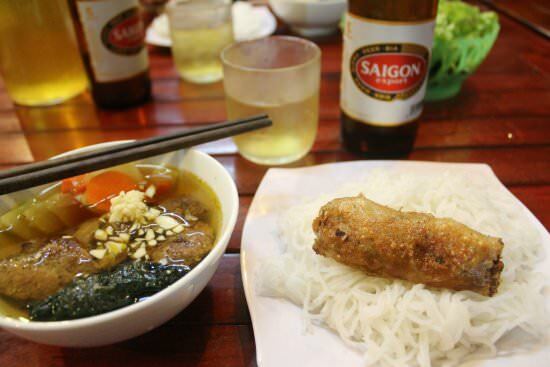 The no-frills restaurant really only serves the one dish with an add-on of spring rolls and cheap beer, so don’t be intimated by the very Vietnamese joint. Surprisingly, pho is scarce on the island, unlike some of the bigger cities in Vietnam, but head to Saigon Pho for a fix that costs a whopping $2 per bowl. You know it’s good because it’s the only thing on the menu. Go no further than Long Beach for a sublime sunset experience, which also happens to be home to Epizode. 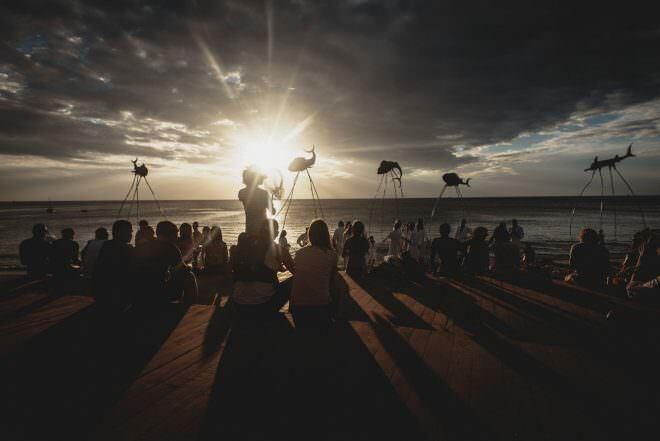 With Dali-esque art installations jutting out of the sea, you can watch the sun cast some psychedelic spice into the sky while taking some stunning snaps for your friends back home. Last year saw artists like Ricardo Villalobos and Luciano play special sunset sessions, which were easily some of the festival’s most goosebump-inducing moments. Sunsets are the spiritual centerpiece of each day and are worth heading back to the site if you’ve taken some time off—you never know who might jump on the decks. It's also good to know that the festival takes a break for a few hours just after sunset. Oft lauded as the most beautiful beach in Phú Quốc, Bai Sao boasts postcard-perfect vistas of powdery white sand beaches spilling out into azure seas that are fringed with coconut trees. For this adventure, we recommend a motorcycle for the 20- to 30-minute drive. In the opposite direction from the Epizode site is Ong Lang, a golden sand beach that’s a bit rough around the edges but you’ll be awarded with a near private beach experience—there was hardly a soul there when we visited last. For the more intrepid traveler, rent a motorcycle from your hotel for the day and beach hop the island’s plethora of beaches. There are no dodgy souvenirs here—this is a place for to feast. The Dinh Cau night market is lined with food vendors selling local delicacies like frog or snake and restaurants with entire menus dedicated to seafood. 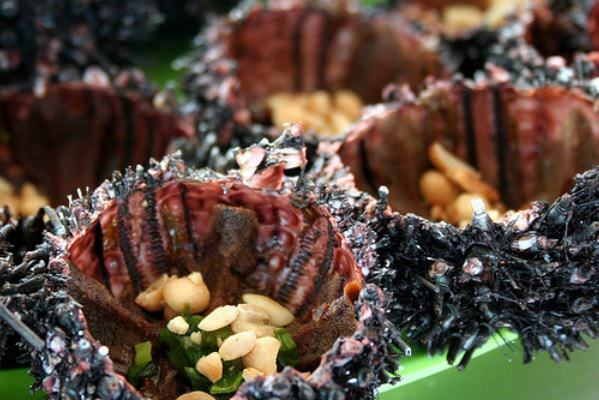 Don’t miss the rich sea urchins that are grilled atop charcoal with black pepper, salt, lime juice and spring onions and ice cream rolls for dessert. The night market is open every night of the week from 5pm – 10pm and is best reached by taxi. The waters that surround Phú Quốc are a marine paradise brimming with tropical sea life and the warm waters make it hotspot for snorkeling and scuba diving—you can even get PADI certified. Larges patches of coastal ecosystems are home to unique fish and mammals like dugong, the hawksbill turtle and green turtle as well as 108 species of corals, 135 species of coral reef fish and 132 different types of mollusks. 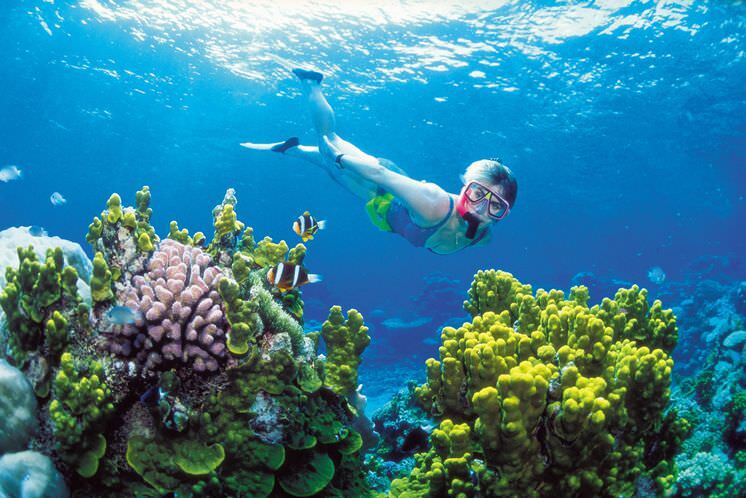 The An Thoi archipelago off the southern tip of Phú Quốc is raved about as one of the best dive spots in the region, while Turtle Island takes the cake for snorkeling in the north. Let’s be real here, you’re likely going to have some pretty vicious hangovers (worth it) making early mornings after Epizode not pretty, but jumping into a crystal-clear sea will bring you back to life. 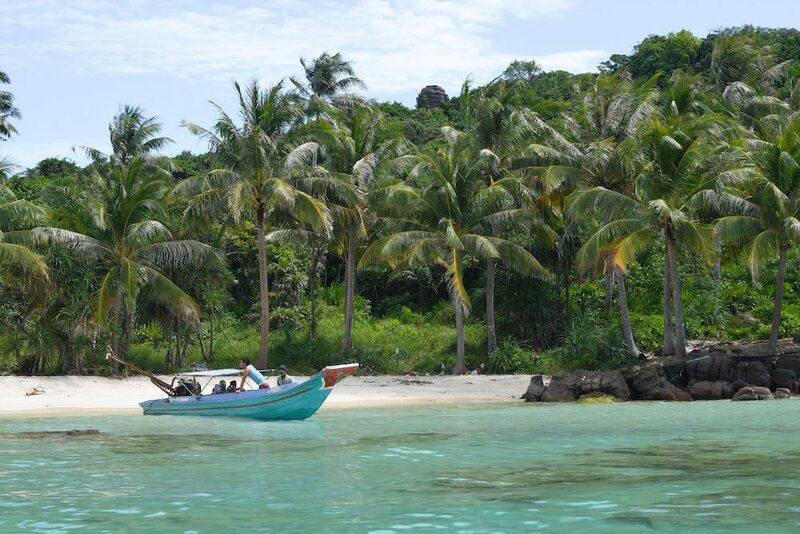 The Phú Quốc district boasts 28 islands with most of them remote and uninhabited. 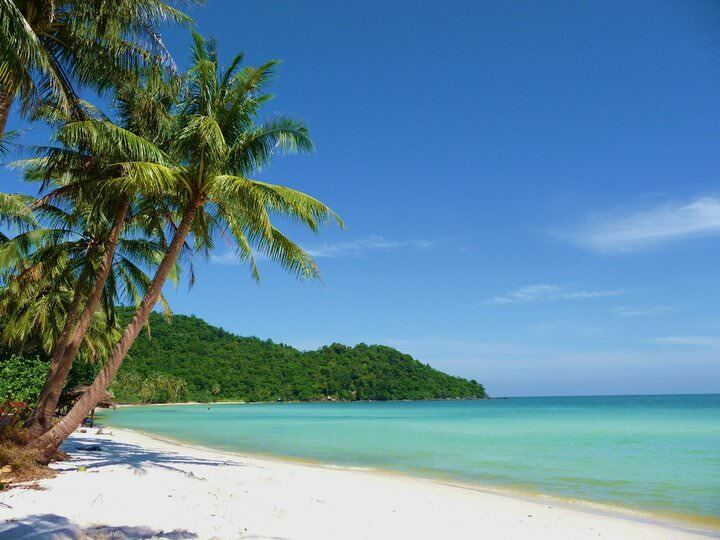 And with 15 islands, the An Thoi archipelago is a good place to start since. Round up the troops and hire a boat for a day with a local guide who knows all the secret spots. 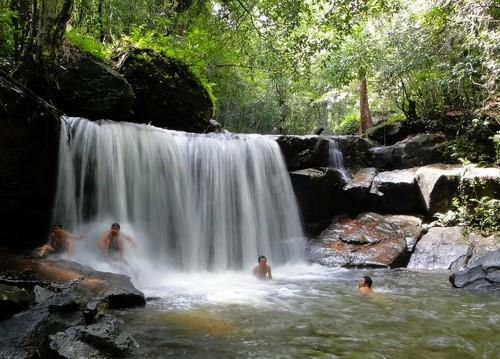 Beauty and splendor are the best way to describe the Suoi Tranh Waterfall, a four-meter tall cascade that’s lined with lush greenery, natural caves and rock pools. The experience comes coupled with a quick hike where you will pass wild orchids, exotic mushrooms, moss and lichens. When you’re all done here, head to the picturesque Ham Ninh Fishing Village, which is just 10 minutes away. Epizode runs from December 28th, 2018 to January 8th, 2019 on the idyllic island of Phú Quốc in southern Vietnam. The near two-week affair is an attractive New Year’s Eve get away with over 21-hours of daily programming, azure seas spilling out onto white sand beaches and iconic art installations lining the festival grounds. Tickets start at €189 for 11 days and can be purchased on Pulse.